The Twitteratti were quick to point out that there is difference between Manushi's surname "Chhillar" and the word "Chillar" - in spelling and meaning. Congress leader Shashi Tharoor on Sunday drew flak after he referred to Manushi Chhillar, who was crowned Miss World on Saturday, as "chillar" (meaning small change). Chhillar, a medical student from Haryana, won the title in China, ending 16 years of drought for India at the international beauty pageant. "What a mistake to demonetise our currency! BJP should have realised that Indian cash dominates the globe: look, even our Chhillar has become Miss World!" the former Union Minister tweeted. The Twitteratti were quick to point out that there is difference between Manushi's surname "Chhillar" and the word "Chillar" - in spelling and meaning. A few expressed their exasperation through creative memes and GIFs. Last seen, 1,700 persons had commented on Tharoor's post, which was also "liked" by as many people. One of the respondents wondered if Congress Vice President Rahul Gandhi -- whose tweets have of late grabbed much attention for their humour and satire -- and Tharoor had switched accounts. "Logout Rahul Gandhi. Get back to your account," tweeted a popular parody account. Interestingly, Rahul Gandhi's tweet celebrating the 21-year-old's achievement at Miss World pageant was quite sober. "Congratulations to Miss World 2017 Manushi Chhillar on her achievement. Our young achievers make us proud. India's future lies in the indomitable spirit and excellence of our youth," Rahul Gandhi tweeted. Another person shared a picture of Congress President Sonia Gandhi seen shouting with her hand raised. The accompanying text was: "Abe ye wala Pidi le dubega koi roko" (Hey, this Pidi will drown us all, someone stop him). Pidi is Rahul Gandhi's pet dog, who, Gandhi claimed a few days back, tweets for him. Some users, however, responded with anger. "Shame on you... You are the one who disrespected Haryanvi surname 'Chhillar' and linked it with a joke," one user said. Another tweeted: "This is not funny at all. Making fun of someone's surname is not what we expect from you... disheartened." "Not expected from you," wrote a user. 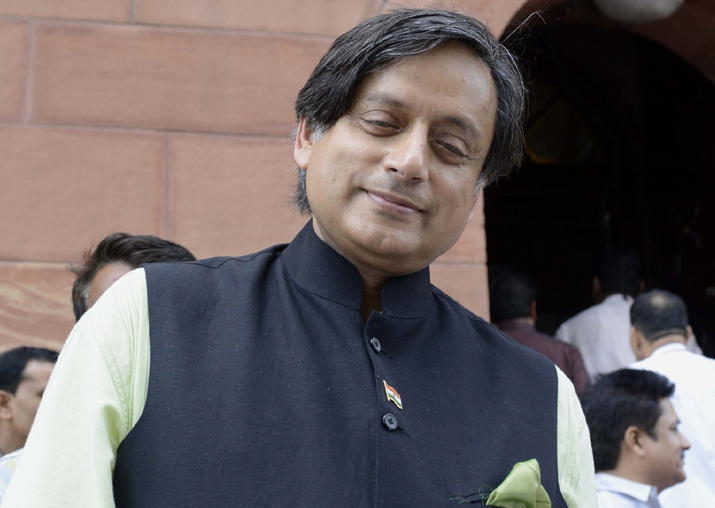 Tharoor soon took to Twitter and Facebook to ask people to "chill". "Guess the pun is the lowest form of humour, and the bilingual pun lower still! Apologies to the many who seem to have been righteously offended by a light-hearted tweet today. Certainly no offence was meant to a bright young girl whose answer I've separately praised. Please: Chill!"